A few days ago I was browsing etsy when I came across an etsy seller offering a print that looked exactly like a poster sold by another artist. This awesome, very popular in the design world & very successful poster is familiar to me. I love it. Seeing the copied print made me gasp. I couldn't believe the nerve of this person who had tried to reproduce the original the best she could with what she had available. Sure the typeface was a bit different & it was lacking some cool texture that the original has, but as far as the design, words, placement of elements & the colors it was a blaringly obvious rip off. I was so mad! That part of me deep down (or maybe not so deep down...maybe just right there on the surface) that gets worked up when I come across something that is obviously wrong & unfair & messed up reacted. It is hard for me to keep to myself when this gets triggered. I must tell the offender & try to set them straight. Well, when I clicked over to this copycat's shop & started browsing through her other items for sale, I noticed that she had another stolen design. Another really successful one. One I was familiar with. I gasped again in unbelief. Then looking down a little further, my jaw dropped when I saw her copy of our "La La Love You" poster. Sure she changed some of the wording, but it was obviously copied. Obviously! I couldn't believe how ridiculous this was getting. Three designs stolen from three different artists & that was all that I recognized. There may have been more there in her shop that were taken from others. That was it! I was ready to fight this fight. I sent her a short convo letting her know that quite a few of her prints looked really familiar & how not cool that was. She responded with this, "Thanks for the email. Business is Great. I love how artist can all inspire one another. Its all about the reproduction. Best wishes!" And with that flippant response, I was ready to give this girl a little hell. I let her know that she was stealing. She responded that inspired is not stealing. Which is true. Inspired is not stealing. But this girl clearly was not inspired. Her prints were direct rip offs & I so wish that I could show you side by sides of them. But I'm just not going to do that. With inspiration I think you can sense a hint of the design that inspired, but the new artist infuses themselves into it so much that it becomes an original & not just a copy of what they saw to begin with. Dylan put it this way...So if I copy somebody's test & change one or two of the answers then I'm not cheating anymore? No! That sounds so stupid! And that's exactly what I was hearing from this girl. Well, it didn't take very long for me to shake her conscience & she removed the questionable prints. 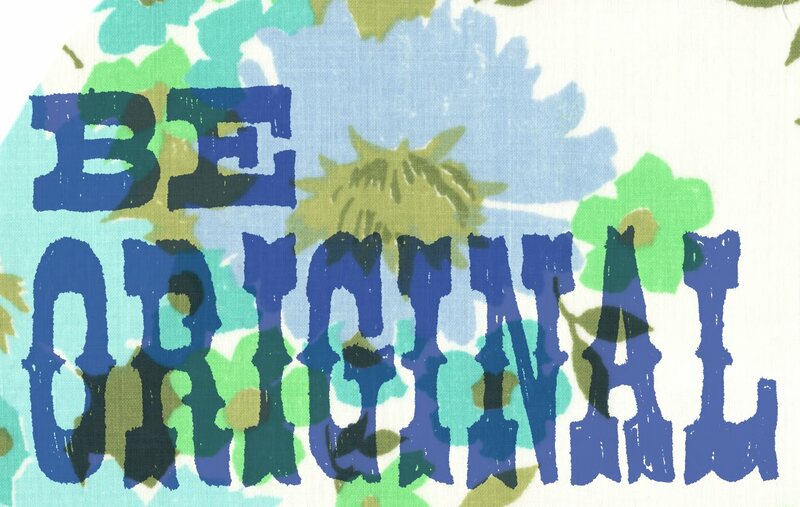 What I really want to say is this....especially with 2 dimensional designs...be original! The copy is never as good as the original. The original is so successful because it is so sound in it's design. Your copy of it will never be as good. Plus you bring negativity into the handmade community where we should all be supporting each other. We should value each others creativity. Never browse etsy looking for new ideas for your shop. Never! Definitely browse etsy to see if anybody else is selling this new design you came up with. Definitely browse etsy to see what others are charging for similar items. Never browse etsy to find what others are making & copy. Much of the time spent on a new product takes place in the mind of the artist before they even touch their supplies & begin making the physical product. Make sure you are spending that time creating in your mind beforehand & not just stealing it from somebody else. Copycats will never be as successful as originals. "It's all about the reproduction"!? In other words: if your design makes money than I can copy it and make money too, right? What ever happened to creating because you love it regardless of if you make money doing it? That's just a bonus and a super cool perk of being in the creative industry / community. But most of us are here because creating / making is a part of our very being and we'd be lost without it! This is obviously not the case with this person and that's just sad. Ahhh. This was a good read. I recently came across an etsy shop through another blogger's giveaway day. In it, I saw an apron for sale nearly identical to mine, and a photo with props nearly identical to mine. I was just so sad. So sad. I convo'd her, but I didn't get a response, flippant or otherwise. I cannot believe that happened again!! Terrible, but great that you said something and they removed those items, whatever inspired, that's a bunch of rotten fruit. wow! wow! wow! That's one of the things I wrote on the "about me" part of my blog, I put tutorials up for people to make their own, I don't really care if people sell my stuff, but one has to give complete credit to the person you took the idea from. augh! I would be so upset if somebody else got my idea and said it was his/her own. I completely understand what you say! and it is true, the copy is never as good as the original....Thanks for sharing this! Good for you for stepping up and saying something! At least she took the items down (for now)... but that her original comment was so casual is really infuriating! I agree, "Inspired by" and "Reproduction" are two completely different things (and I love Dylan's comment). And if it was really "inspired by," wouldn't she want to give the original artist the credit?? That is horrid! I have browsed Etsy, but have never sold or purchased from it ... is there a complaint process for this type of non-sense? Like on ebay when people are selling fakes? I don't think that etsy really gets involved with these types of issues. It would become a 'he said' 'she said' type of thing & they just don't want to deal with it. Luckily most people in the handmade community are good, honest people that respect each other. These copycats pop up every now & then but I'm pretty confident that their shops don't really succeed in the end. That is terrible. I am not sure if this is something that is cover by interlectual copyright, I know when I make something I would not sell some that is know to be a copy of someone else. I am sure at times we are all inspired or think things are cool. Something generic, I think it is hard if it is every where I guess you are "inspired" by someone, as opposed to just making what is popular (an example coming to mind is yo yo hair clips). But a design that is unique to someone is quite different. I have been asked about selling an item I make based on a pattern given to me. My anser is no. Not my idea so I won't sell it, if someone wants to pay for supplies, or supply their own materials I will make at no charge but not sell. However I am in the process of taking the idea and changing it, so it is me and not someone else so I can sell if I wish. So glad you convo'd her. Good for you!